Here’s a rundown of this week’s highlighted releases with links to full reviews on all of them. Disney released three dual pack Blu-rays for three of its animated films this week with Mulan 1 and 2, the Hunchback of Notre Dame 1 and 2 and Brother Bear 1 and 2. These are the first time these films have been released on Blu-ray as a dual pack with their direct to video sequels included. Disney’s classic tale of the Chinese fable that sees young Mulan secretly take her father’s place when he is conscripted to the Emperor’s army comes to Blu-ray with a beautiful looking transfer. Mulan 2 takes Mulan and her now fiance Shang on a secret mission from the Emperor himself delivering his princess daughters to arranged marriage designed to strengthen China. 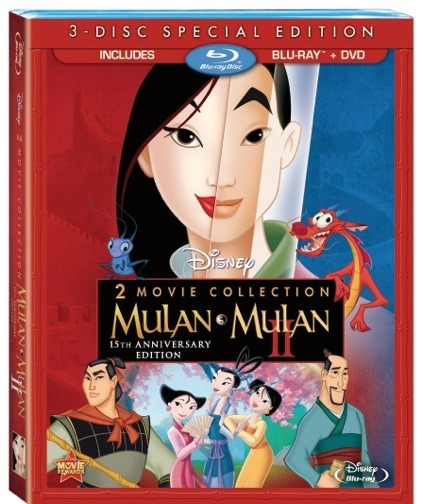 Mulan is one of Disney’s classic tales from Disney’s very fertile mid 1990s which also produced another one of the packs released this week and other classics like The Lion King and Beauty and the Beast. The film looks glorious on Blu-ray and makes some of the more special scenes pop even more. Mulan 2 is actually one of the better direct to video sequels, even without the return of Eddie Murphy, as the animation is still solid and the story, while goofy, still retains some fun. The Blu-Ray pack is a must buy. Disney’s interpretation of the classic Victor Hugo tale of the deformed orphan Quasimodo also comes from the 1990’s era of Disney animation but is usually criminally overlooked and features one of the more dastardly Disney villains in Quasimodo’s master Frollo. Hunchback 2 tries to bring in a love interest for Quasi in the form of circus girl Madeline and also introduces her scheming and thieving boss to the mix. The original Hunchback is a very underrated achievement with some gorgeous animation and a loveable hero at its core. Often lost in the crowd of the titles mentioned earlier, Hunchback is a title that deserves a lot more credit and spotlight. 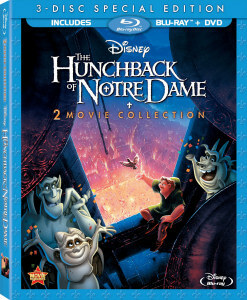 Hunchback 2 however should be forgotten. The step down in animation is terrible, even our main character Quasimodo looks different between the two films, and its story is pretty lame. The Blu-ray pack is a recommend based on the strength of it first film alone. Brother Bear was released during the leaner years of Disney’s animation in the early 2000s when Pixar had really taken over. In fact the film about a young man being transformed into a bear to learn a lesson was bumped from the traditional Disney summer slot for Finding Nemo that year. Brother Bear 2 also tries to find our protagonist in a love story situation, this time even throwing the supporting characters in to situations of their own to boot. Brother Bear is one of the lesser of the Disney animated films, and Pixar has since done a similar tale in Brave that has a much better story and moral attached to it. 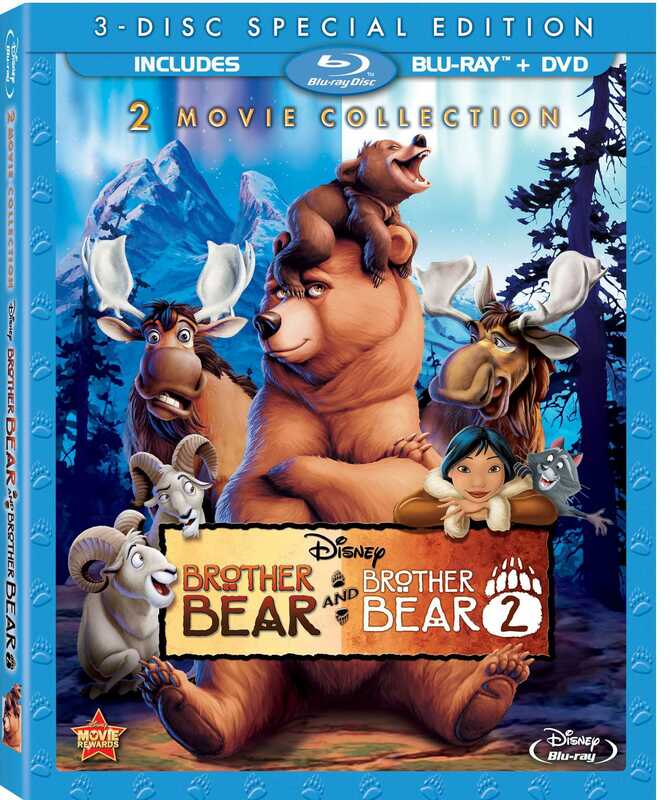 Brother Bear 2 unfortunately does not fare any better, having to replace the non-returning Joaquin Phoenix with Patrick Dempsey as the lead Kenai and working in non-credible ending, even for a film involving such mystical elements. The Blu-ray pack is a non-recommend. 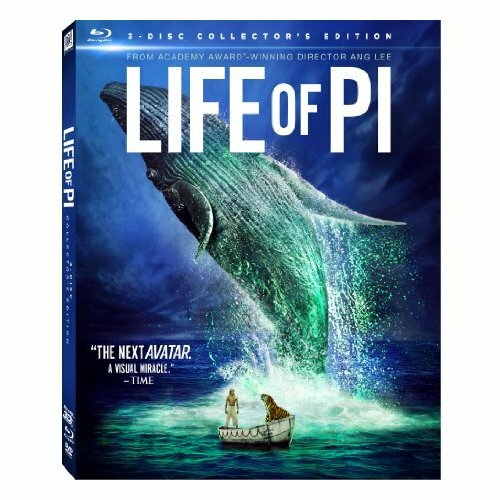 The Oscar winning Life of Pi makes it Blu-ray debut with an impressive looking pack. The tale of PI, the sole human survivor of a shipwreck, lost at sea with only the company of a 450lb Bengal Tiger named Richard Parker has been captivating audiences and readers ever since the book debut back in 2001. Many felt the book to be un-filmable until director Ang Lee came along and delivered his award winning adaptation this year. The film looks amazing and Lee’s determination to make the scenes look like living pieces of art really comes through on the home screen. The performance from Irrfan Khan as the older Pi is brilliant; it’s the true heart of the film and totally engaging. The effects work here is some of the best put to film last year and why Lee won the best director Oscar become crystal clear when you realize just how well these elements come together and that it was all shot in front of a blue screen. Lee’s imagination is on full display and the audience is the benefactor. Life of Pi on Blu-ray is a must own. Hitchcock also hits Blu-ray this week. The tale of the filming of Alfred Hitchcock’s Psycho and the relationship between Hitchcock and his wife Alma was met with a mixed reaction last year upon its release. 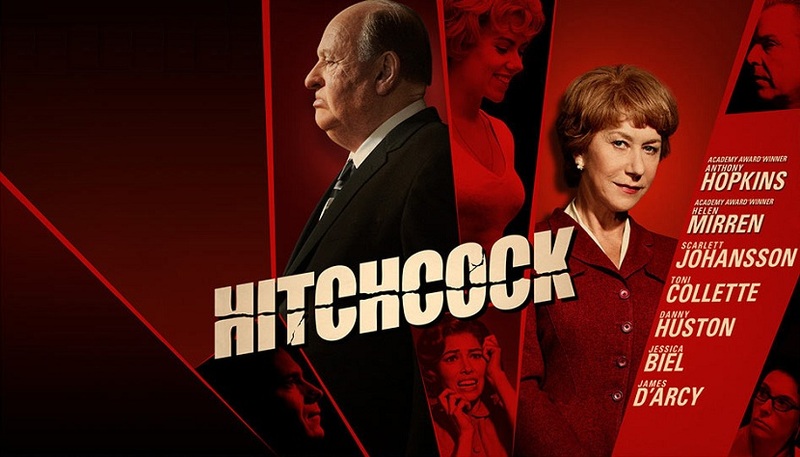 Focusing more on a lighthearted treatment of the story than a hard hitting, 100% accurate biopic, the film is much more about the relationship between Hitchcock and his beleaguered spouse and features a strong turn from Helen Mirren in the role of Alma. 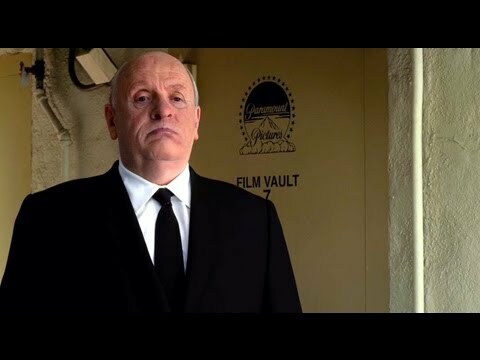 Hopkins does a decent turn as Hitchcock, not completely morphing in to the character but assuming the tone and essence of the man pretty robustly. The film does play better on the smaller screen that it did in the theater, but still has its issues and Hitchcock aficionados are likely to have strong feelings about the films outcome. The film itself looks excellent on Blu-ray and the disc is packed with special features galore. Hitchcock on Blu-ray is a recommend. The newest Gerard Butler rom/com Playing for Keeps is out this week on DVD and Blu-ray. The film about and former soccer star who has blown his relationship with his son and former flame trying to make amends features an all-star cast. Of course Butler’s George can’t simply sweep into town and save the day by coaching his son’s soccer team and has to contend with a group of lonely, aroused and attractive soccer mom’s determined to get a piece of George for themselves. Playing for Keeps is sadly bland and unoriginal and quite frankly we’ve seen this before from Butler far too many times. The film is not terrible; it’s just very average. Jessica Biel and Judy Greer managed decent performances while the rest of the cast seems content to toe the line and phone it in. The DVD is also without any additional features; just the film itself is included. Playing for keeps is a mild non-recommend.